Paintball is a game played by enthusiasts, both male and female, of all ages throughout the UK and recent surveys suggest that paintball is currently the fastest growing sport in Europe. Paintball is considered a rugged adventure activity, however Delta Force implements stringent safety guidelines and has made significant investments into safety equipment to ensure the safety of each and every player. Paintball is generally played in woodland and over varied terrain, and as such demands a certain level of physical fitness, although the level of involvement and activity can be entirely determined by each participant. Paintball is a game that is played in all weather conditions, further establishing the sport as one of the UK’s most popular activities. The sport of paintball experiences a lower injury rate than any mainstream sport and welcomes over 1,000,000 new players each year. Direct impact from a paintball can sometimes result in grazes and small bruises, although Delta Force takes every effort to remove any danger or discomfort associated with paintball by providing all players with full head protection goggles, body armour and full length combat suits with padded protective collars. Through stringent safety guidelines and top of the range paintballing equipment, Delta Force has brought paintball into the public eye and has made the sport available to people of all ages. We are 5-Star accredited members of the UKPBA (UK Paintball Association – the governing body of the sport in the UK), and we have full Public Liability Insurance. We look forward to welcoming you at one of our paintball centres for your next paintball event. 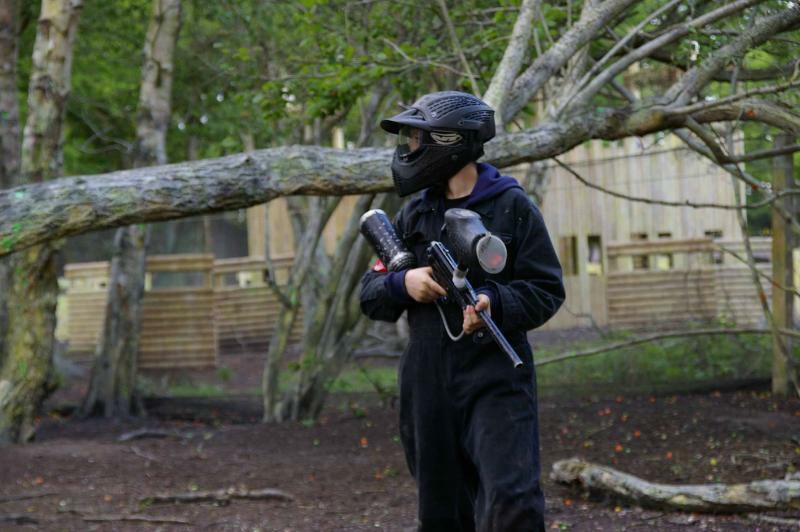 Book your day out now by visiting the paintball booking page or calling our events team 24 hours a day, 7 days a week on 0203 869 9301*.